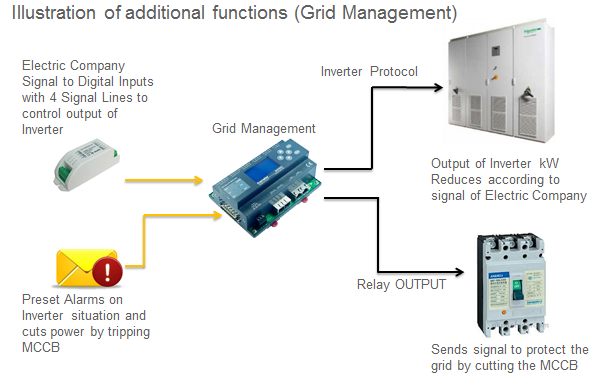 Inverter protocols are read through the Ethernet or Serial port and events or data will be processed by SWF850 and the SolarWise Cloud Server. 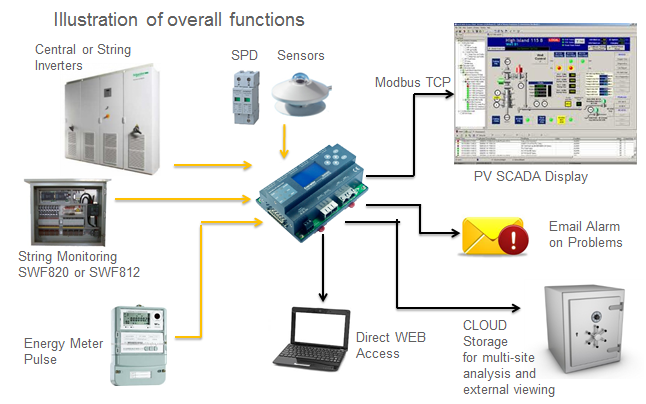 Cost effective options for PV operators to either sign up for SolarWise Cloud server or directly use the internal WEB server built-in to the SWF850 which doesn't require Cloud service. SWF850 system is suitable for small size BIPV in commercial buildings, factory buildings or even <1MW solar farms. Alarms sent via Email to plant operators let's farm owners to have a peace of mind on plant operations availability. SWF850 generates critical maintenance tickets to the cloud server on any events caused by inverters, string array boxes or sensors.